Are you interested in the initiative of taking a number or all your students on an exciting overseas school trip particularly to Africa and yet you have no idea on how to start? We are very eager to hear from you so that we assist you plan your school trip to Africa particularly to Uganda or to Kenya to meet your requirements. Our organized school tours are very fun, educational as well as practical. It is important that you opt for the most appropriate trip for the students. What kind of itinerary, or amount of support, are you searching for? Carefully reflect on what you wish to achieve out of your school trip to the beautiful Africa! 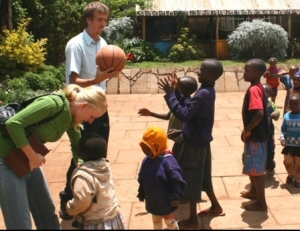 Do you prefer your Africa trip to specifically be educational? A cultural encounter? A Physically challenging? Or all of the above mentioned? It is very important to select a destination within Africa that suits the ability as well as experience of the students and at the same meets your objectives for this trip. 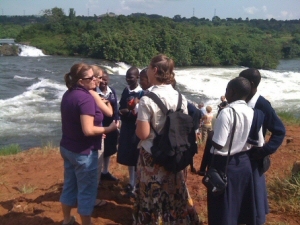 Our school trips plus student tours to Uganda or Kenya provide great learning experiences as well as a lot of amusement through the different activities such as safaris, white water rafting, quad biking, canoeing, bungee jumping, fishing plus many others.The students are subjected to new and inspiring situations that enable them to help to gain confidence among other people, for their present and future importance. Groups of high- school, college or university students are offered an exceptional opportunity of 2 cultural tours on which they interact with the locals and participate in some of the development projects done in these local schools. Our expertise in arranging student tours as well as student visits particularly to Uganda plus Kenya cannot be compared to any other. Safety is principal in all our tour activities and detailed risk assessments as well as contingency strategies are a fundamental part of us. Adventure and education: all our itineraries offer the appropriate blend of adventure plus education as well as create a logical alternative for high-Schools, Universities or Colleges. Your student group will actually relax as they explore this magnificent part of Africa from the large cities to the rural villages, the great River Nile, tropical forests, Lake Victoria, wild life in the national parks and the stunning waterfalls. the school tour is a great chance for the students as it offers maximum incredible experiences that will remain memorable in their entire lives. These school trips are intended at teaching students and enables them make friend with the local African students through sharing of knowledge as well as culture with mutual respect. The students will be able to learn from each other and share some of the basic skills. There will be an exceptional to have hands on experience as you take part in the various projects done in these great east African countries. We are aware that while you are on these school trips you will certain conduct yourselves in a very respectful way for yourselves as well as the people living in the socities or communities you will visit. This includes you way of dressing, how you speak as well as the way you handle yourself and behave towards others. For the time you will be on this tour you will all be regarded as a large family. You will progress on well if you show consideration to others as well as respect yourself.